There are few games server provider companies that can claim to have risen so high in such a short time. Started from a single system in May 2009, End of Reality LLC has become a leader in the North America market. Bucking conventions, EOR has chosen the path of renting servers, relying on high efficiency and stability of young intel platforms to provide the ever elusive 100% up time. With equal focus in the competitive environment as the communities Robby Hicks combines the latest hardware with the latest software and bundles it all together with a knowledgeable staff. It’s little surprising that EA have granted EOR the Trusted Server Provider status. For many this would be cause enough for celebration. Indeed glancing at their website you’ll see plenty of Battlefield 3 promotional banners. For Robby and his team though, getting everything ready for one event isn’t enough of a challenge. Hence their rather bold move into the European market. 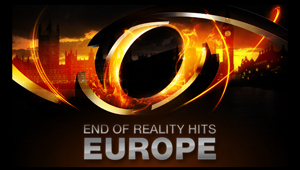 Within the next 24hrs EOReality is set to go live in London, England.